Kuva yllä: Sirpa Häkli, Metsä, akvarelliväri Saunders Waterford -vesiväripaperille, koko 49 x 55 cm, 2014, kehystämätön. Teos ja kuva © Sirpa Häkli 2014. Verkkoartikkeli Taidelainaamosta, kuvassa yksi akvarelleistani: "Lainataulua voi sovittaa kuin housuja", Helsingin Uutiset, Etelä-Länsi, 26.11.2014, sivut 18-19/20. Teos on myytävänä. Pyydä hinta ja saatavuus yhteydenottolomakkeella. 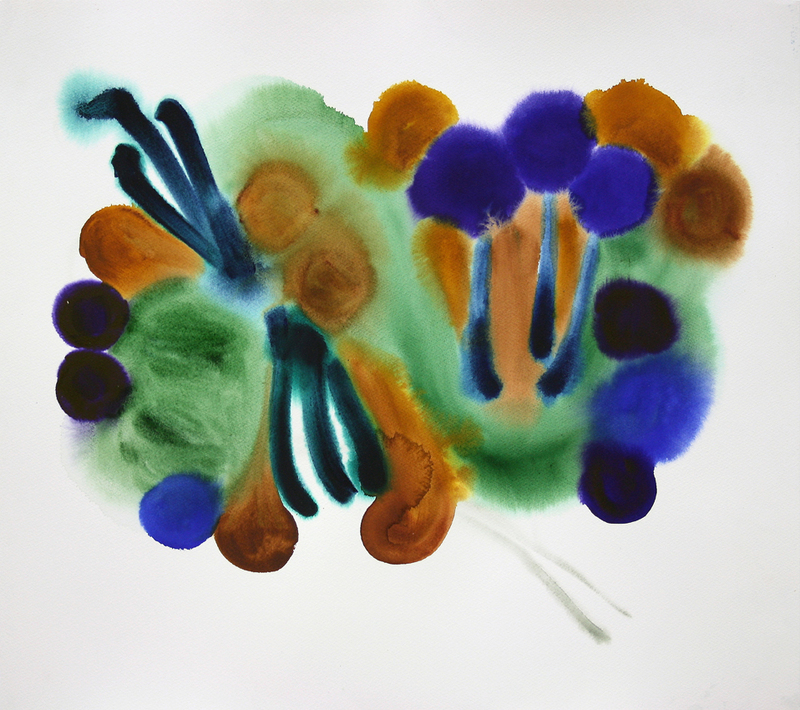 Image above: Sirpa Häkli, Forest, aquarelle colour on Saunders Waterford watercolour paper, size 49 x 55 cm, 2014, unframed. Artwork and photo © Sirpa Häkli 2014. The work belongs to a series of semiabstract watercolour paintings with a nature and plants theme from 2010 to 2014. Forest is a unique piece, whereas the other watercolour paintings mentioned above form series named Climber, Inflorescence, Bunch and Lighted Tree. Some of them are sold and some are for sale directly from my studio - please see the Web Gallery album Watercolour paintings (2010-2014) for the photos. Some can be rented from the Helsinki Artists Association's Artotheque. See: My artworks at the Artotheque. Web article about the Artotheque with a photo of my aquarelle on pages 18-19/20 of Helsingin Uutiset, Etelä-Länsi, 26.11.2014. The artwork is for sale. Please inquire for pricing and availability using the Contact Form.